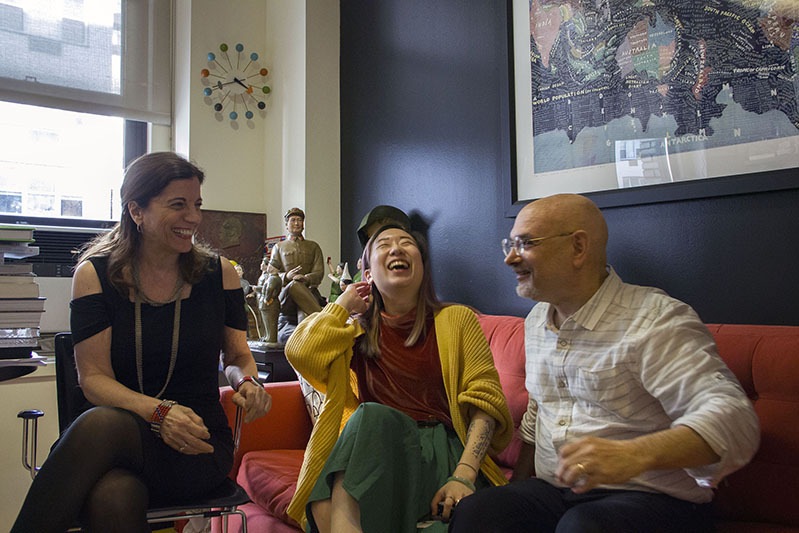 MFAD co-chairs Talarico (left) and Heller (right) are always happy when alumni return “home.” Yesterday Jessica Lin (MFAD 18) (center) made a surprise visit. She informed us that her Venture “Behind the Curtain” earned her a job working on an off-Broadway production and is currently making the rounds of Broadway producers. Congratulations Jessica, time to take a bow.